Cranbalt offers a wide range of tower cranes in Baltic and Nordic countries. Tower cranes ranging between 4t to 32t. We are reliable partner providing customers professional solutions in the demanding construction sites. 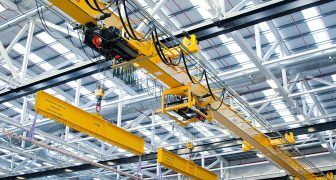 We manufacture various models of industrial cranes, beams, cantilever racks, and other steel structures. High quality solutions are secured by the standards for quality assurance implemented in the company. We are the official distributor of Genie equipment in the Baltic States. 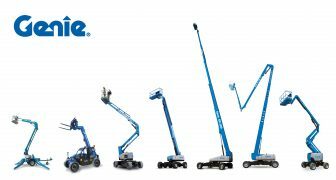 We offer a wide range of Genie lifts, service and parts. With roots in heavy equipment manufacturing that date back to 1966, our company has combined experience with contemporary technologies and today is able to provide our customers with the most innovative and most professional solutions. Having started with tower crane rental services within the confines of Šiauliai region, today being the authorised dealer of Terex Corporation, we specialise in both the hire and manufacture of industrial cranes and steel structures in the entire Baltic and Nordic market. 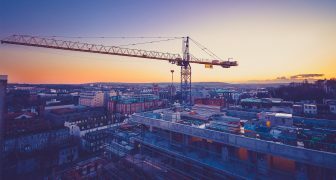 Currently, we can offer the maximum range of tower cranes for rent as well as technical solutions in the manufacturing sector for sale. In order to create the greatest possible value to the customer, we follow the LEAN system. We continually invest in production, business management, customer service processes, and long-term training programs.